We’re inspired by great communities that work, inspired by well-designed places where porches and storefronts open to sidewalks, inviting a familiarity that makes us neighbors in the truest sense. 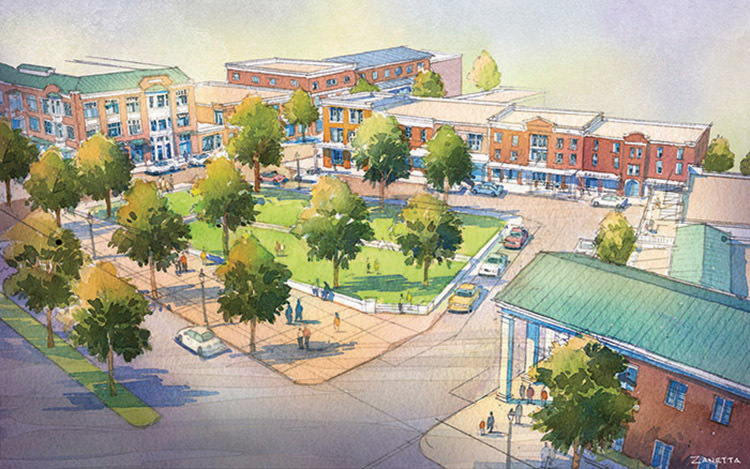 We formed High Street Real Estate & Development to build great new places and to redevelop properties in Northwest Arkansas’s downtowns. Our residential and commercial projects are influenced by philosophies that improve livability, adding lasting value to our neighborhoods and communities. Michael Watkins Architect, LLC, is an architecture and town planning firm formed in 2007 when Mr. Watkins left his position as Director of Town Planning with Duany Plater-Zyberk & Company. The firm’s work includes the preparation of master plans for neighborhoods and downtowns, preparation of design guidelines, various town architect services for TNDs, and leading and participating in urban design charrettes. He serves as the Town Architect for Norton Commons (a DPZ master plan) in Louisville, Ky. and Whitehall (a PlaceMakers master plan) near Wilmington, Del. He collaborates with numerous other New Urbanist firms, among them Urban Design Associates, TortiGallas and Partners, Placemakers and the Prince’s Foundation for Building Community.